My Buddy’s Nuts is a female-driven gourmet nut company which combines culinary inspiration and corporate innovation. In 2015, Entrepreneur Bonnie Jones and her husband, Certified Executive Chef Phil Anderson, began steering these original and unique gourmet creations towards snack-time success. My Buddy’s Nuts, our delicious, non-GMO, Gluten-Free snack is made with premium quality pecans from Georgia and an Organic spice blend. This chef-inspired treat is prepared in small batches and created via a new production method that intensifies both the flavor and the crunch. Our Maple Mustard Pecans—a tad zesty and a bit tangy, with just a hint of sweetness— are flavored with Non-GMO maple powder, complemented with sea salt. Our daring Spicy Hot Pecans are also sweetened with Non-GMO maple powder, complemented with sea salt and incorporate organic cayenne pepper, which registers 90k heat units. Our Sweet & Super Crunchy Pecans—perfect alone, or on salads, desserts, and even pasta—are enhanced with Non-GMO maple powder, sea salt, organic cinnamon and nutmeg spice blend. We ensure that none of our products are overly coated so that you can fully enjoy the flavor of the nut. All of our pecan products are made with the Mammoth Desirable variety, which are as large and delectable as they sound. The My Buddy’s Nuts team brings a wealth of experience and knowledge to our tempting creation. Revel in genuine food made for genuine people; don’t shell out a fortune for nuts that aren’t what they’re cracked up to be. Grab a handful of My Buddy’s Nuts—you’ll never be sorry you did! 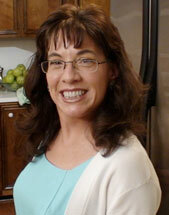 Bonnie Jones is currently the executive producer and star of the PBS series The Chef’s Wife. Bonnie is an award-winning producer and director, a co-founder of both DelMarva Productions and Uncle Chef Productions and the co-creator and producer of the Uncle Chef video series. Bonnie has facilitated educational cooking workshops at countless schools and other venues and designed a study guide to support these classes. She has directed and produced television shows and theatrical productions, nationwide. For over 25 years, Bonnie and her husband Phil Anderson have traveled the globe sharing their lives and their food, exchanging their secrets and their secret recipes. They relish their time together, devouring life with the same passion they reserve for dessert. Phil Anderson is certified by The American Culinary Federation as an Executive Chef. Phil is also the host of the Uncle Chef video series and he does cooking demonstrations throughout the country. 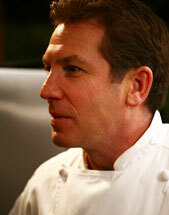 He is currently the executive producer and star of the PBS series The Chef’s Wife. During his more than twenty five years in the food industry, he has studied in the US and abroad at such noted institutions as The Culinary Institute of America, The Masters Series at UCLA and The School for American Chefs in Napa Valley, CA. Chef Anderson also participated in the 1992 USA Culinary Olympics in Frankfurt, Germany. For over 25 years, Phil and his wife Bonnie Jones have traveled the globe sharing their lives and their food, exchanging their secrets and their secret recipes. They relish their time together, devouring Life with the same passion they reserve for dessert.